Name crafts and activities are one of our favorite things. I find that preschoolers love finding their names, talking about them, and exploring them! 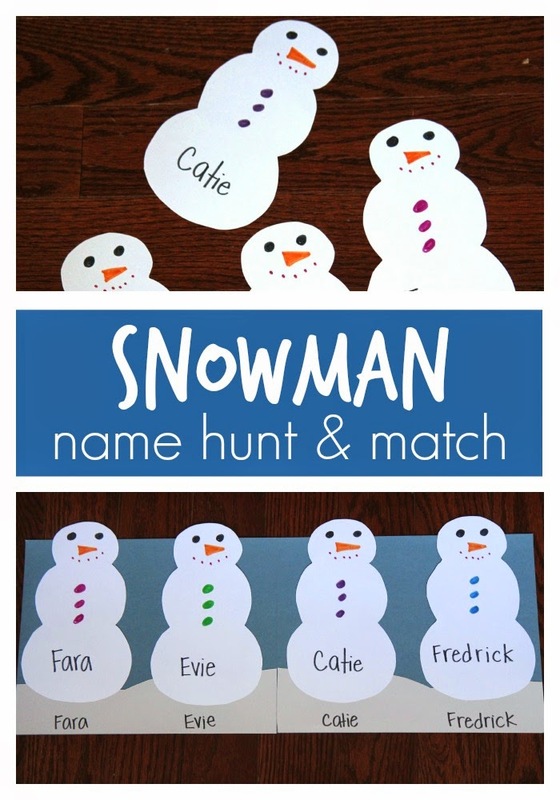 Last week at our snowman themed preschool we did a simple snowman hunt and match game. It was great for helping the kids recognize their name and talk about the letters. Ahead of time I prepped a snowman for each child with their name on it! 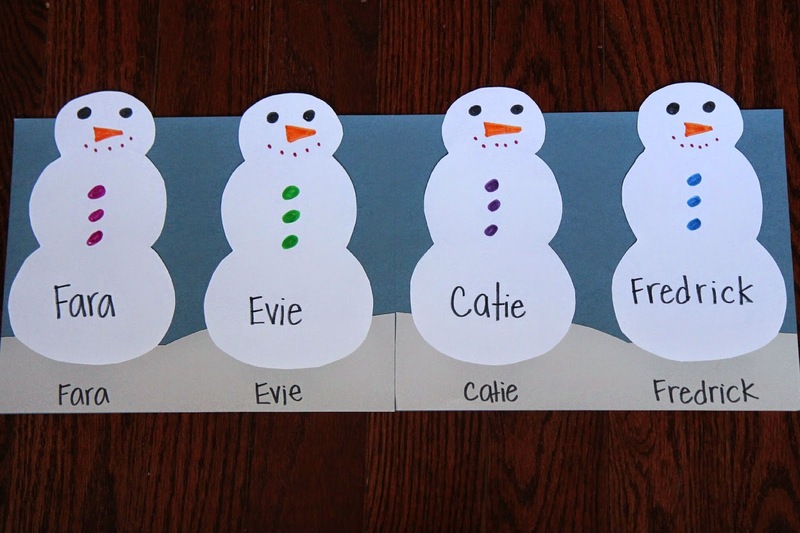 If you'd like to involve the kids then you can have them decorate their own snowman and then either write their name for them or have them use stickers to create their name. Often I like to write a child's name and then have them match alphabet stickers to the name. 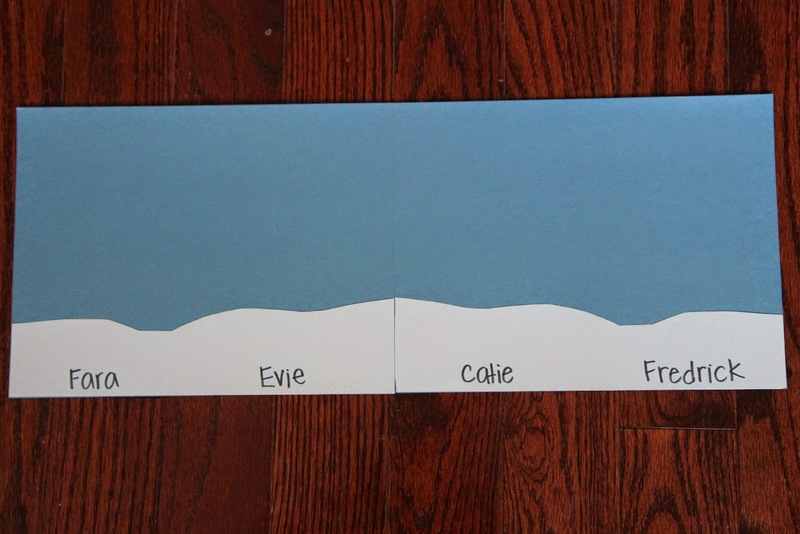 I also prepped ahead a simple snow scene using colored cardstock. I added the kids names on the bottom of the snow scene so that when they found their name snowman they could match it to the one on the snowbank. This activity was easy peasy! I hid all of the snowman all around the room while the kids went in another room and counted to 10. Once they counted then they got to come and try and find their name snowman and then match it to the name on the snow scene. 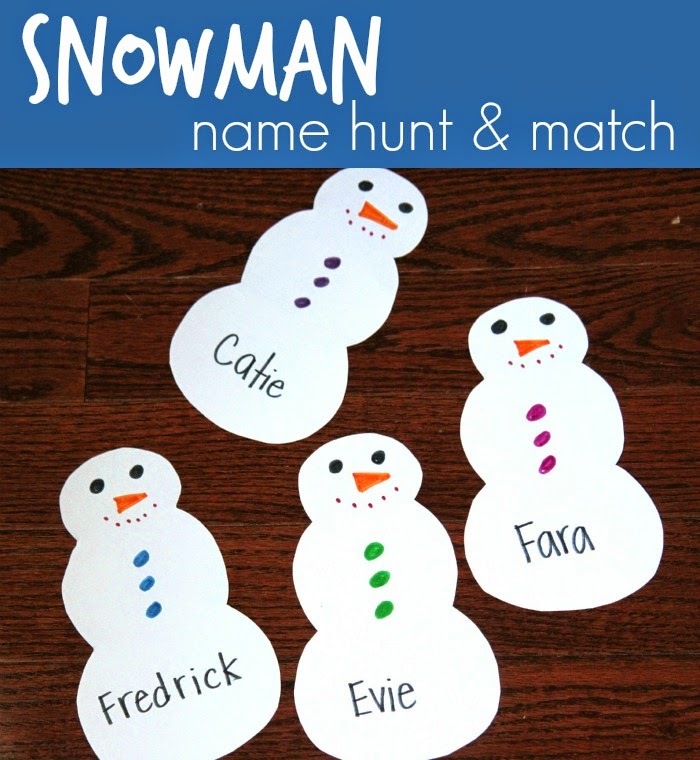 In addition to playing this snowman hunt and match game and reading The Snow Day by Ezra Jack Keats, we also made a snowman banana snack, played a snowman toss game, and made a cute snowman snowglobe craft. 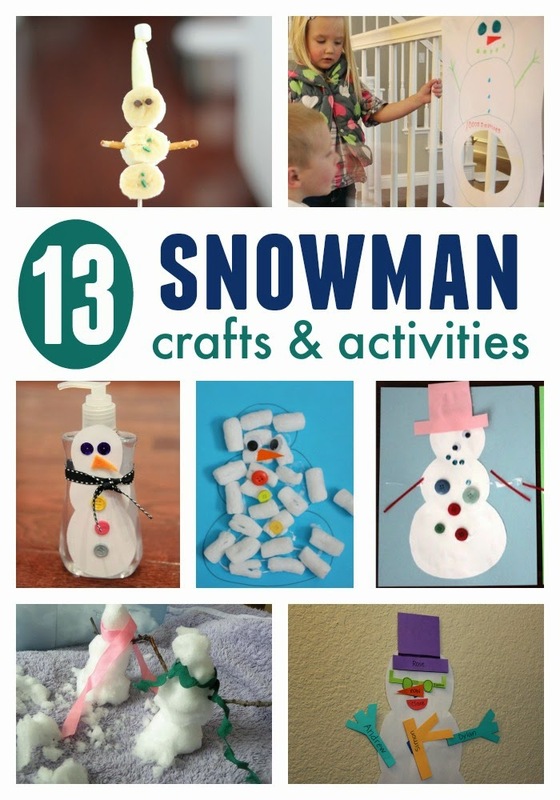 Do you have any other favorite snowman activities?